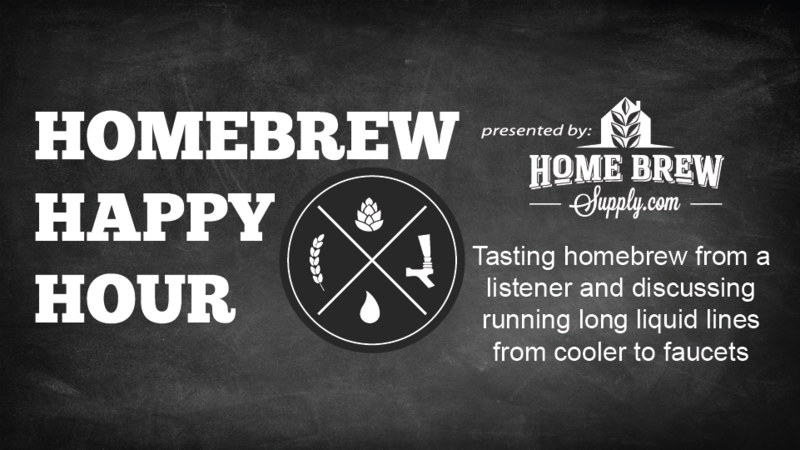 Welcome back to another episode of our Homebrew Happy Hour podcast! James is on vacation so Joshua and Todd step up to the plate to take your questions on today’s show! Actually – today’s show is filled with much more beer tasting and kicking the can rather than actually addressing your technical questions about brewing but we think it came out alright! Specifically, a long time listener of the show sent in some of his own homebrew for us to taste so we thought that there was no better place to do the tasting than on an episode of our podcast (spoiler: the beer was phenomenal and we raved on and on about both styles he sent in).